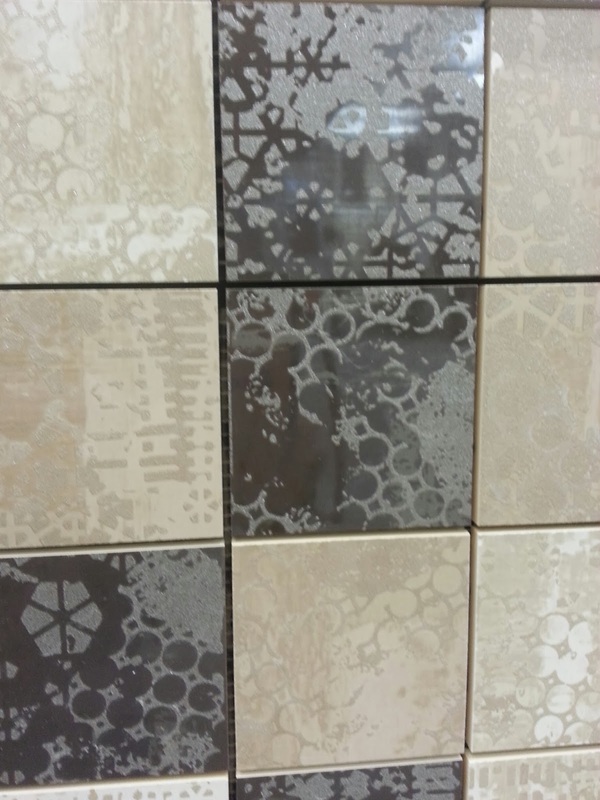 Was out shopping for some simple modern clear tiles to put on the ceiling of a shower and stumbled upon these beauties. Not at all what I was looking for but I had to take some photos to share with you guys. 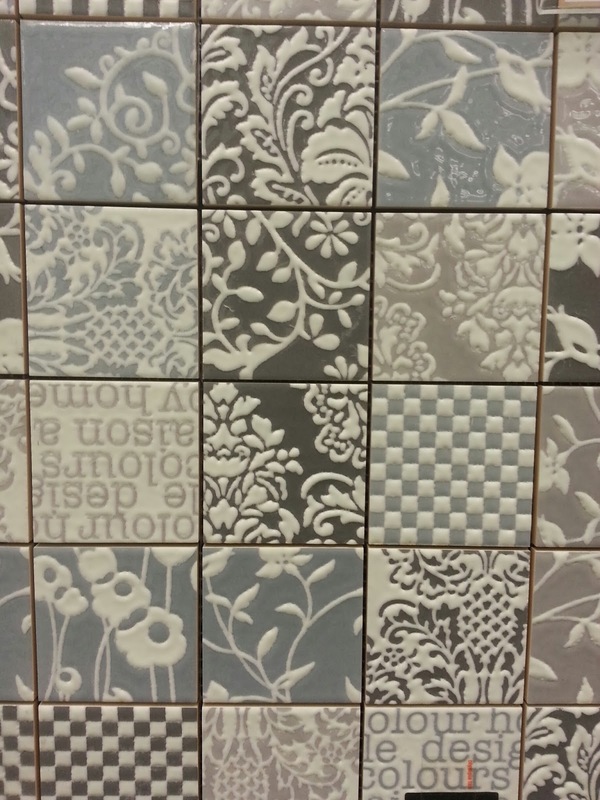 I think these mixed patchwork patterned tiles would be perfect for a shabby chic bathroom. 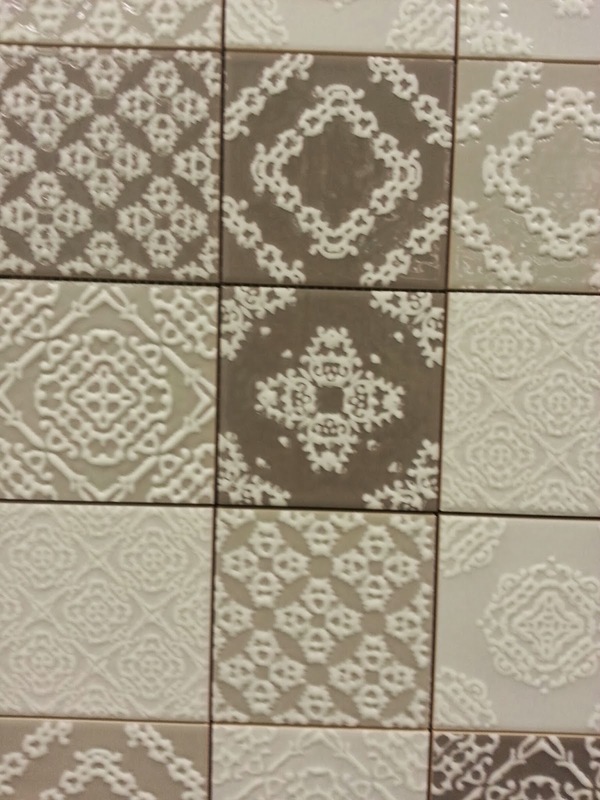 I am hoping these tiles are the beginning of a trend. I would love for there to be a bigger selection of patterned tiles, especially for the floor. It's so hard to find a nice patterned tile. These ones are a bit pricey thought, they are around $50 per square foot & can only go on the wall which is too bad. 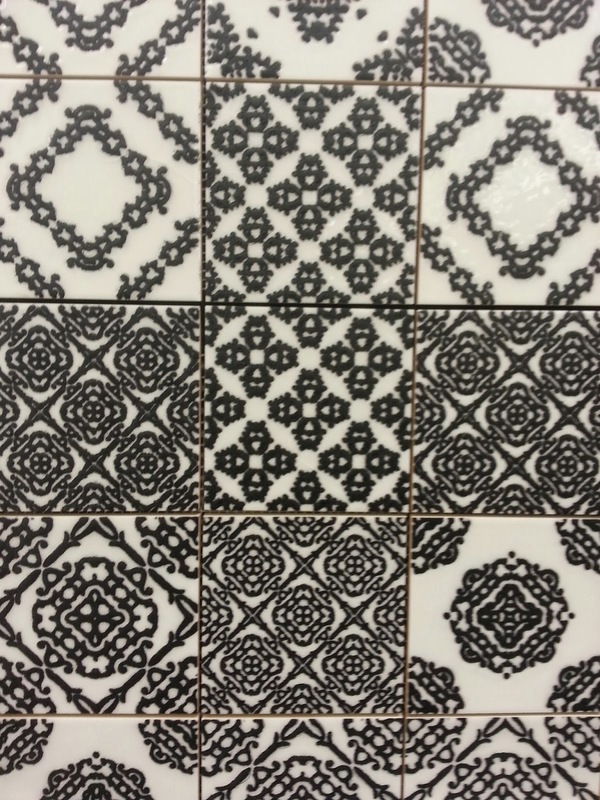 Can I ask where you found these beautiful tiles? I had found them at a little store near me awhile ago. This weekend I drove there to get the tile information for you but sadly the store has gone out of business! I looked through my old photos to see if I had taken a photo of the product information but sadly I don't see any. 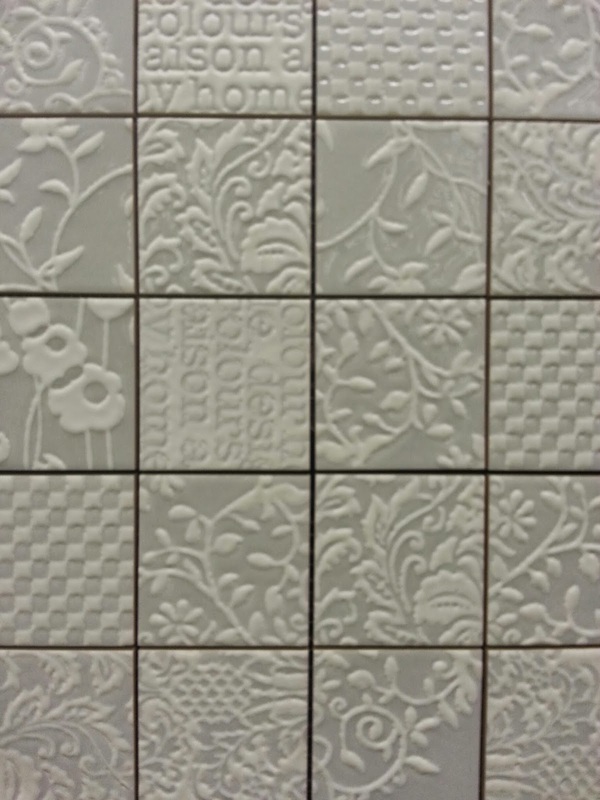 Perhaps if you show the photo of the tiles to a store near you, they can suggest something similar. If I come across them again I will post the information here.